A public transit advocacy group conducted a study on the level of service in each of the city's wards. CHICAGO — If you don't have a car but live in neighborhoods like South Shore, West Humboldt Park and much of the Northwest Side, taking the train or bus at off-peak times can be tricky. But for those who live in Lincoln Park, Lakeview, Rogers Park and Uptown, public transportation is widely available. That's according to Citizens Taking Action, a public transportation advocacy group that released a study this week ranking each ward in Chicago by its availability of public transit options. The study, conducted over several weeks, considers CTA bus and rail options. The group considered hours of operation, proximity of stations and bus stops to each other as well as the total number of travel options in coming up with each ward's score. Several North Side wards got a perfect score of 10, meaning service to riders was excellent. Those wards included Lincoln Park, Lakeview, Rogers Park and Uptown. Brendan Reilly's 42nd Ward, which includes the Downtown area, also received a perfect score. Ald. John Pope's 10th Ward was the only ward to receive a 1 out of 10. The 10th ward includes Southeast Side neighborhoods like South Deering, East Side and Hegewisch. Other wards, including the 38th on the Northwest Side, also got poor marks. Charles Paidock, of Citizens Taking Action, said he hopes the study gets elected officials to take another look at public transportation options. "The primary aim is to get aldermen to think about transportation in their wards," Paidock said. "We're looking to them to make it an issue." 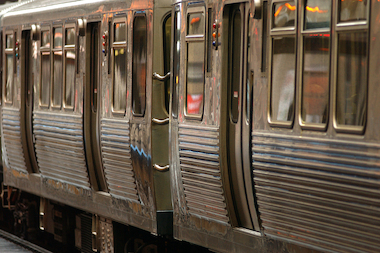 A spokeswoman from the CTA did not immediately respond to a request for comment. Paidock, a self-proclaimed "transit-dependent rider," said the CTA's map of buses and rail service can be "deceptive." He said some areas only serve riders during peak hours, leaving those without a car essentially stranded at times. "We certainly use public transit for work, but we also need it for other aspects of our lives," Paidock said. "We lead full lives, not partial lives." The advocacy group hopes another benefit of the study will be informing people looking to move into a new neighborhood. Paidock said, many times, information real estate agencies give out about local transportation options are "wildly inaccurate." "No matter where you go, it's a transportation heaven," he said. "This will give people, especially young people, a better idea of what's in their neighborhood."